The last date from 10-07-2018 to 07-12-2018. Interested and eligible applicants can download the form from the website cuj.ac.in and submit their application form between 10-07-2018 and 12-07-2018. The prescribed form along with a photocopy of all relevant documents should be sent to the address below. 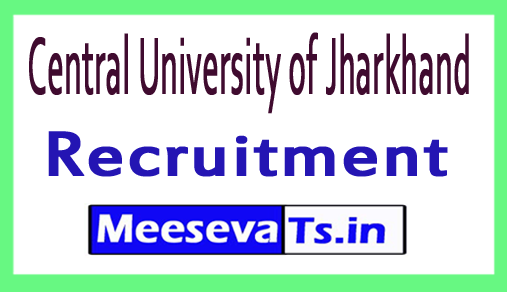 Central University of Jharkhand, CTI Campus, Ratu-Lohardaga Road, Bramble, Ranchi- 835205. Deadline for submitting the application: from 07-10-2018 to 07-12-2018.